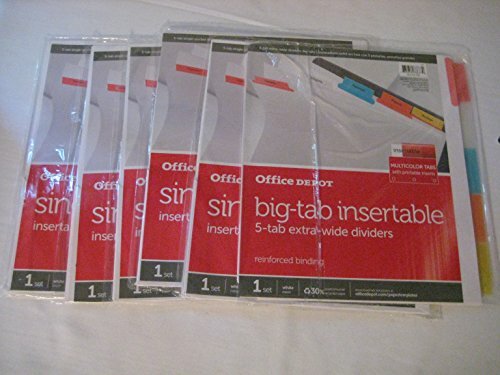 Qty is 6pk of, Office Depot Insertable Extra-Wide Dividers With Single Pocket Tabs, Assorted Colors, 5-Tab. *Extra wide for use with sheet protectors *Larger tabs hold more information for more detailed labeling. *Reinforced binding resists tearing. *3-hole punched for quick and easy organization. Larger tabs hold more information for more detailed labeling.